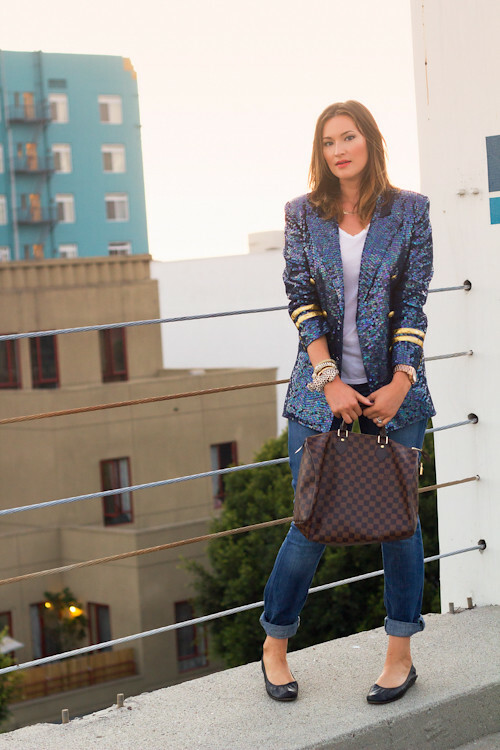 This sequin blazer was a serendipitous find while I was doing a pull at Shareen Vintage for a shoot last year. I swiftly swiped it off the rack and held it my tight grasp until I had secured it for my very own. When I wear it, I feel like the ringmaster in the most fabulously costumed three ring circus... so what better to pair with it than an arm full of tiger/leopard/snake cuffs and a necessary touch of checker print fit for only the chicest of circus clowns?